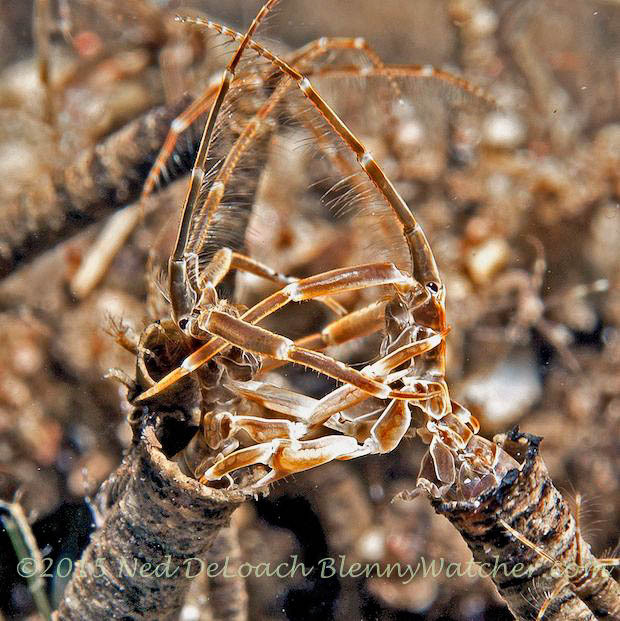 Dumaguete, Philippines, April 2015 ~ I am starting this entry with one of Ned’s photos of tube-dwelling amphipods. 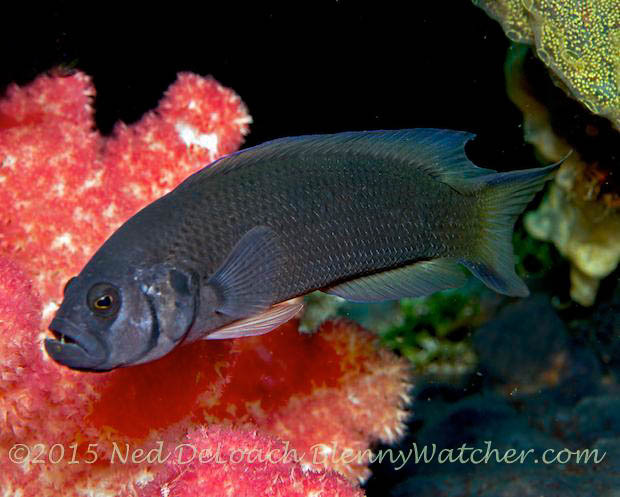 These creatures were almost my sole focus during our three weeks of diving, first in Dumaguete, then in Anilao. I didn’t realize the extent of my obsession until I started cataloging video and reading my journal entries – yikes! This was our second visit to the Philippines. 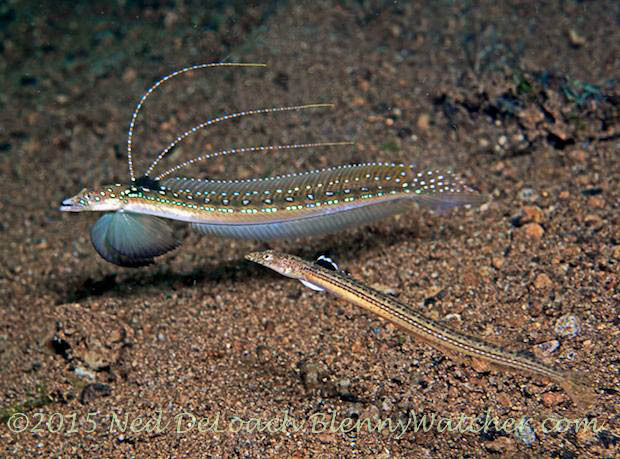 Our first trip in January 2011 was good – we saw ghost pipefishes, nudibranchs, skeleton shrimp, Flamboyant cuttlefish, blennies – all the things we associate with good critter diving, but the water was cold (to us). Everyone “in the know” told us to come back in April for more of the same, but with warmer water. 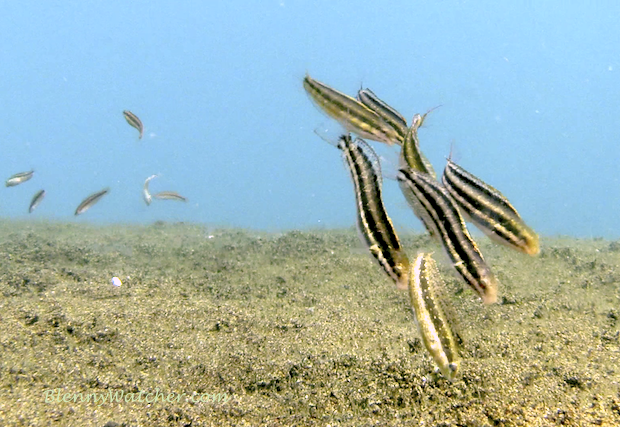 They were right – the April seas were warmer and the critter population had exploded. 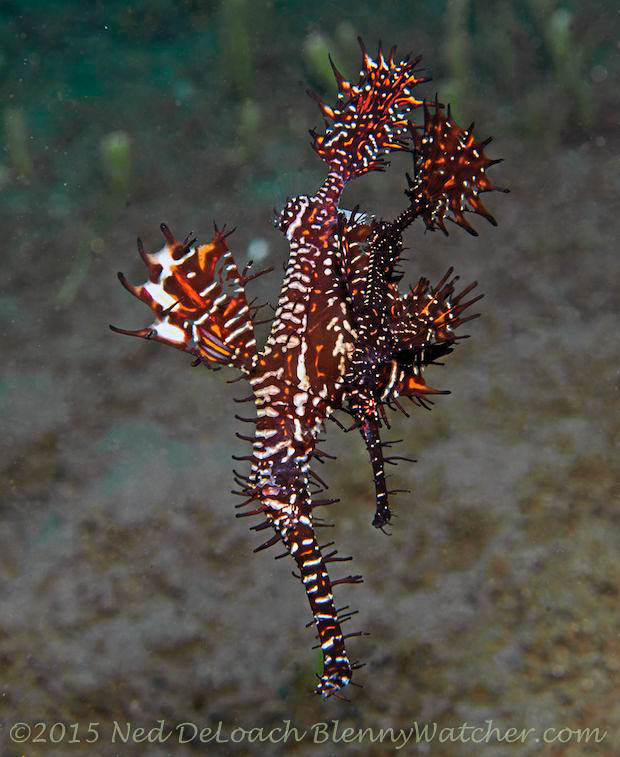 We not only saw dozens of ghost pipefishes in every color combination, we witnessed mating ghost pipefish (video at the end of this post), dozens of frogfishes of every color and size, mating Flamboyant Cuttlefish, and added a few fishes to our life lists. 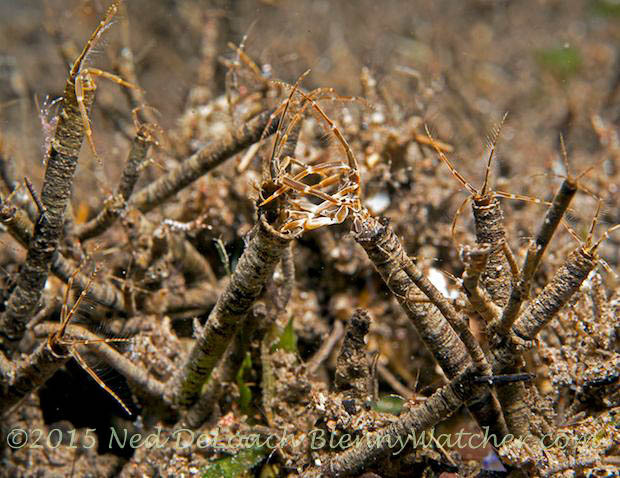 In 2011 we saw lots of skeleton shrimp, including many carrying babies (see our Fall 2013 article in Alert Diver, “Skeleton Shrimp: Tough Neighborhood”), but didn’t see the bottom-carpeting swarms that we’d expected. 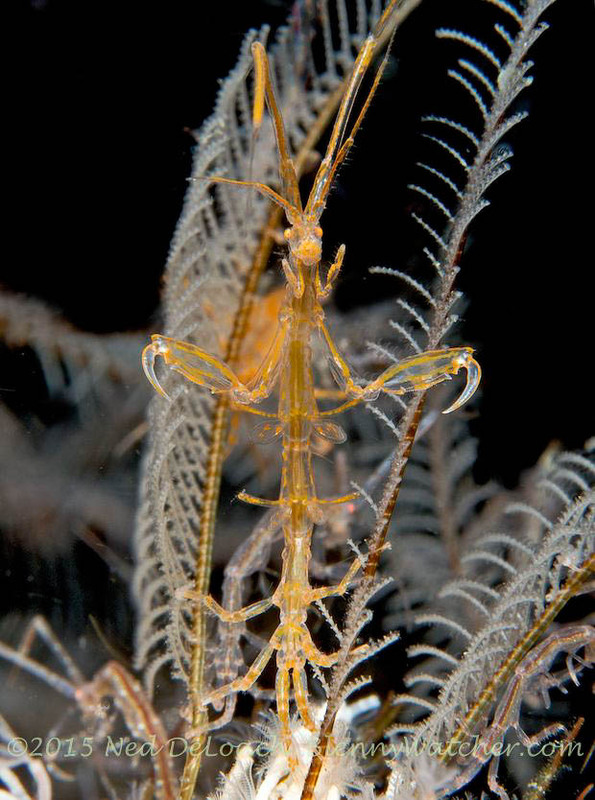 This time, it was impossible to dive anywhere and not see skeleton shrimp. 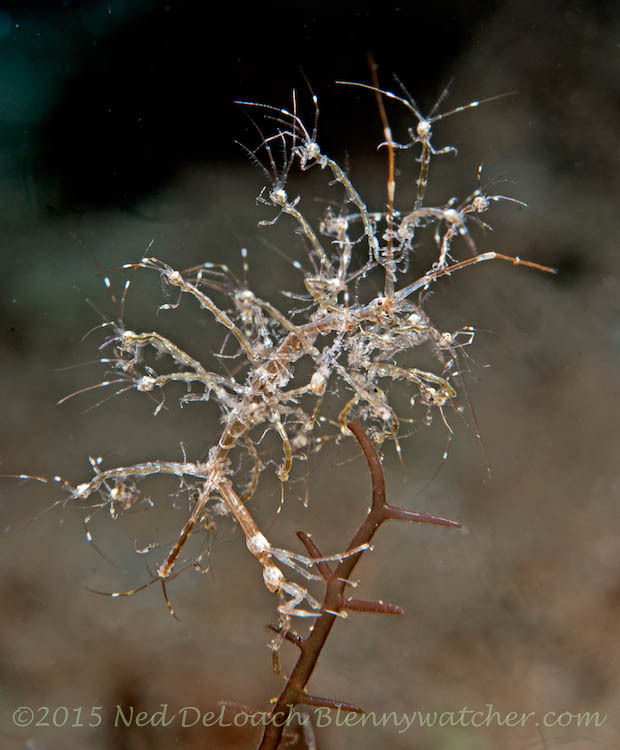 A skeleton shrimp laden with babies. In the process of watching skeleton shrimp, which I should note are amphipods, I found their cousins, tube-dwelling amphipods. 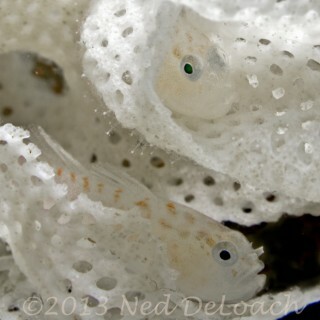 Amphipods in strange, rubbery tubes, amphipods in tubes covered with grains of sand and amphipods that adorned themselves with sand and bits of detritus – all feeding and fighting and dragging their little amphipod tubes around. 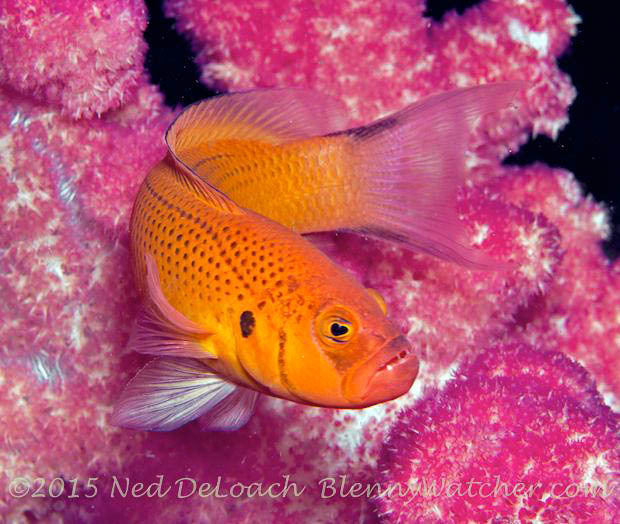 I was captivated as is evident by the hours of video I shot, which on advice from Ned, I’ll save for another post. 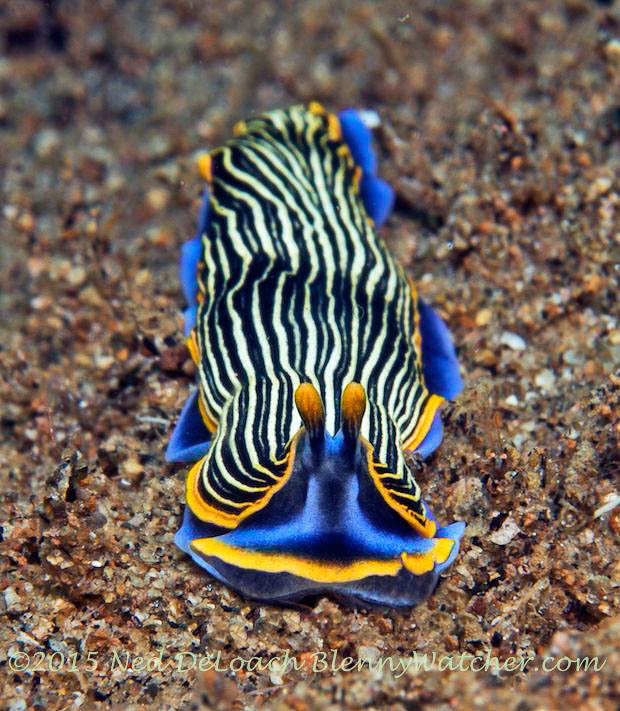 There were lots of other nudibranchs even though we were told they are more plentiful when the water is colder (been there, done that). 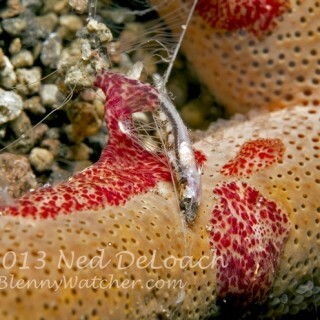 This was my favorite – a Nembrotha playing host to a hitchhiking Emperor shrimp. 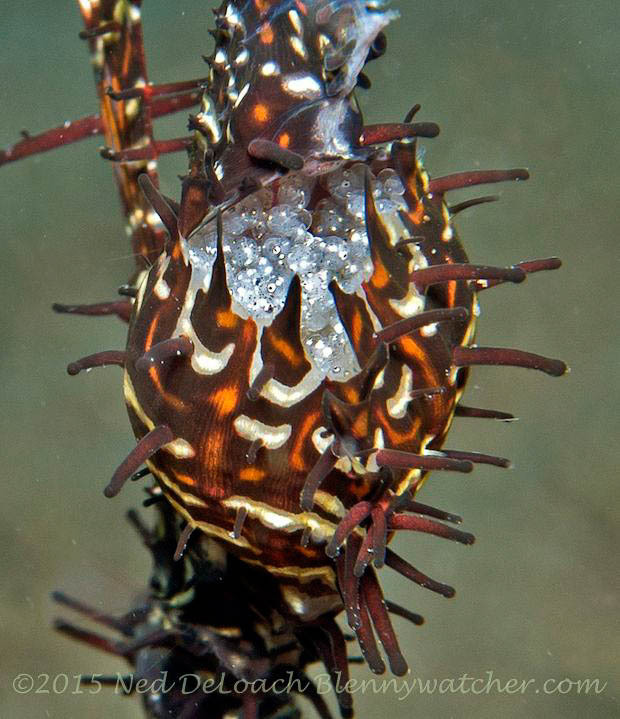 A few years ago, we saw a video from the California Academy of Sciences, showing Ornate Ghost Pipefish mating in their tank at the Steinhart Aquarium so we recognized the behavior when it began and were able to get a little of it on camera. 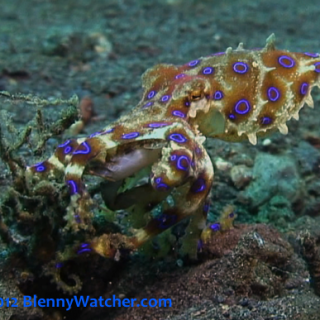 You can click on the video below, or visit our BlennyWatcher YouTube Channel for it and other short marine life observations. 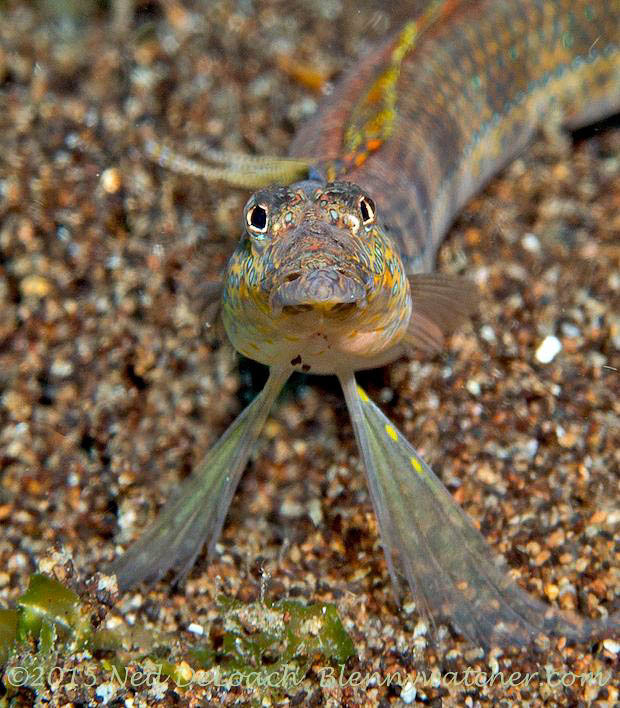 We close with one of Ned’s favs: a sand diver! You can say “ventral pouch” on the interwebs?? Pretty cool. Oh yes, we can and have said worse that that 😉 I think technically, the brood pouch on the female is made up of her pelvic fins. Anna and Ned, awesome behavior reports, I am learning so much and loving it! 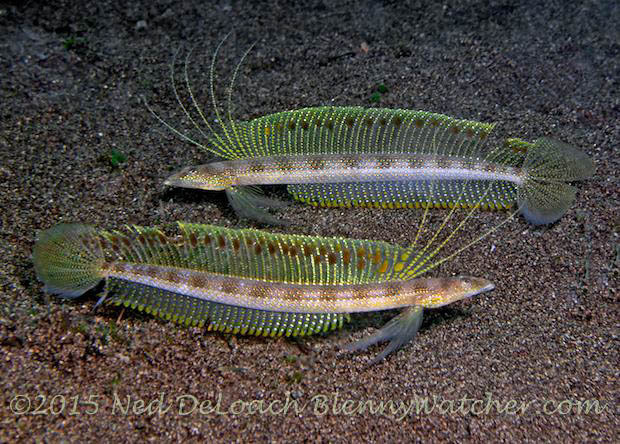 The week prior to your arrival at Atlantis ( Yes it was announced with pride ) I witnessed ( with a video) a Crinoide on it’s way somewhere,and as you point out justifiably, the ocean floor was littered with sceleton shrimps.The diversity of life in Dumaguete was impressive…. 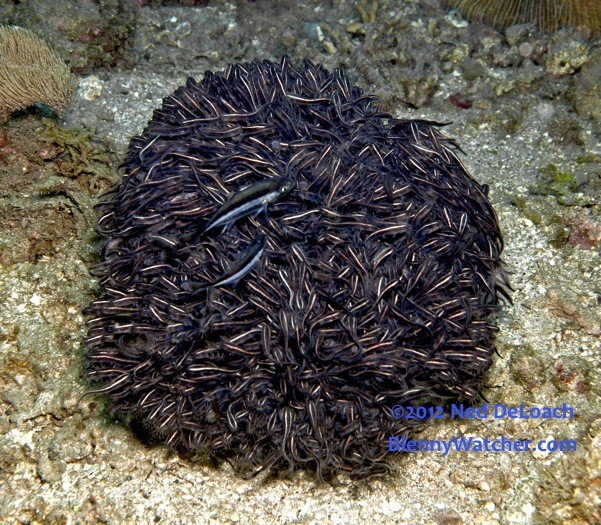 Hi André, I bet your moving crinoid was fun to watch! 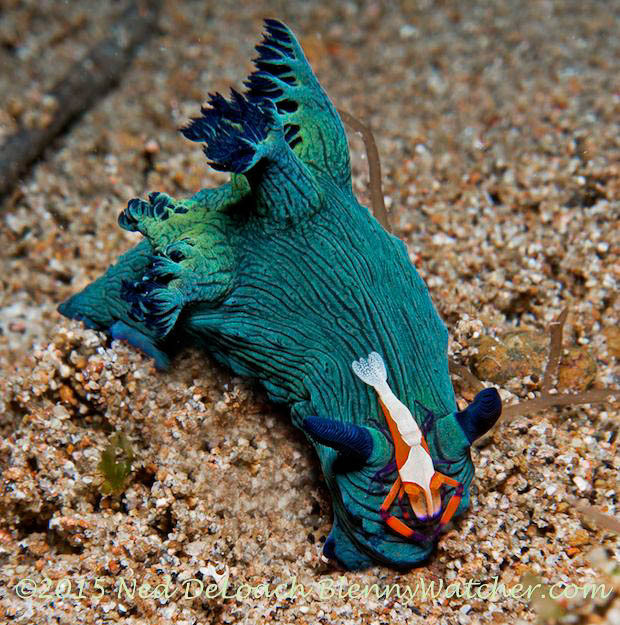 Dumaguete was certainly and invertebrate lover’s dream destination.